The Amicus Cup is a knockout handicap singles tournament with each match played over the best of 3 sets. The competition starts at the beginning of the season in September and runs throughout the year. Until 2015 the competition ran over the first half of the season and was normally awarded before Christmas. From 2016 the tournament ran the whole year and so the trophy was awarded in 2017. 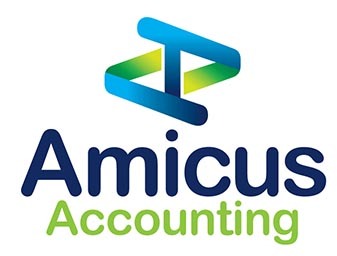 The cup is sponsored by Amicus Accounting and bears the companies name. It has also been played as the Allen Trophy after Simon Allen and started as the Templecourt Trophy. A doubles handicap tournament normally held in late September named in honour of Colonel R.J.L.Ogilby, DSO who purchased Moreton hall and the court following the death of C. T. Garland. The Moreton Shield is sponsored by Savage Selection a wine importer and wholesaler and provider of the Vin du Jeu de Paume enjoyed by members and guests at the club. The Christmas Triples is a tournament that is played each year alongside the club’s Christmas Party. For three-a-side, fancy dress tennis it is imperative to make some minor adjustments to the traditional rules of the game and for each renewal of the tournament the marker outlines a set of rules to be observed for that years competition. The current triples sees the highest handicapped player being the only player on each team permitted to play balls off the penthouse. Handicapping is considered to be dynamic and often adjusted between games. The dedans and grille both count double while the winning gallery wins the game, especially useful when you are 40-0 down. In the past different rules have been played for instance the best players were forced to play off the penthouse or to serve wrong handed and at times the tambour has been banned. But compared to the modern variant these rules now look arbitrary and faintly ridiculous. While the regular game of tennis is often compared by aficionados to three-dimension chess triples is best likened to Mornington Crescent. The esteem in which this tournament is held by the club’s members can be seen by names on the honours boards. For many club stalwarts the triples is the tournament reserved for their only mention. The club ladies handicap tournament, normally held in December. The tournament is named after Lady Elizabeth Hamilton wife of Sir Richard Hamilton a founding member of the club and past chairman. Lady Hamilton is the mother our current chairman, Sir Andrew Hamilton and grandmother of two past winners. Under 21s tournament played in December each year. The Tournament recognises both the club president David Verney, 21st Baron Willoughby de Broke and his father John Verney, 20th Baron Willoughby de Broke who was instrumental in establishing the club. The Garland Cup is the oldest Moreton tournament still going. It is a Men's singles competition, played off handicap in the second week of January each year. The competition remembers Charles Tuller Garland for whom Moreton hall and the Court were built and was first played in 1922 following Garland's death in the previous year. The Ponsonby Cup is a doubles handicap tournament played in February each year. Around 2003 the crteria for palying in this tournament was changed to those under 30 handicap (or thereabouts). This competition normally takes place alongside the Parsons Cup. A singles handicap tournament open players with a handicap over 35 that is played at the same time as the best club players play in the Ponsonby Cup. The cup was donated by founding member Tony Parsons who supported the club in numerous roles for many years. The club championship to determine the best amateur player in the club - played around March each year. Played off level, best of 3 sets. The cup remembers Roland Owen-George an active club member and committee member. The Owen-George Club Championship is sponsored by Blythe Liggins Solicitors a local legal practice that can trace its roots back more than 100 years. Blythe Liggins took its current form following the merger of Liggins & Co and Blythe Owen-George which was established by long standing MMTCC members Jimmy Blythe and Roland Owen-George after whom the competition is named. We are pleased to continue this long association with Blythe Liggins. The Hobson Cup is a doubles handicap tournament open to all members played at the same time as the club's best players compete for the club championship. The cup is in memory of Dr. Anthony Hobson and the cup is presented each year by his son, Simon Hobson. The Bryant Cup is our midsummer doubles competition played at the same time as the annual barbecue. It honours David Bryant club vice-chair and chair of the T&RA Handicap Committee for many years. The Princes Cup is an end of season doubles competition open to both members and non-members, played at the end of June and celebrates Keyvan Farmanfarmai a much loved member after whom our bar is also named.